With my eldest she used to have to travel on the passenger seat of the car in her infant carrier [before anyone asks yes the air-bag was switched off]. I drove a mini at the time and just could not physically get the car seat into the back. By the time my youngest daughter arrived we had changed cars and with her I had a mirror to see her. It was fantastic because I could keep an eye on her without needing to turn around, however it broke and we had gotten rid of it long before Little Man was born. Now little man is rear facing and the girls try to keep an eye on him in the car, but my Mummy instinct tells me they are probably trying but not really helping very much. Which now means I have to keep an eye on them too. The Snugglybabies Baby car mirror is one of the largest I have seen. 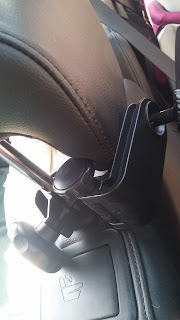 It attaches to the headrest of the car using a plastic nut and clasp system. The mirror can then be rotated into position on the plastic arm. I found it really easy to install and managed it within 5 minutes. The mirror comes with a protective film which needs to be peeled away in order to use it. The Snugglybabies Baby car mirror is shatter proof, which makes it great for use in the back with 3 children. It seems to be incredibly stable as I drive around and so far has not fallen off. It gives me a great view of all three of my children as I drive and gives me peace of mind knowing that they are safe. 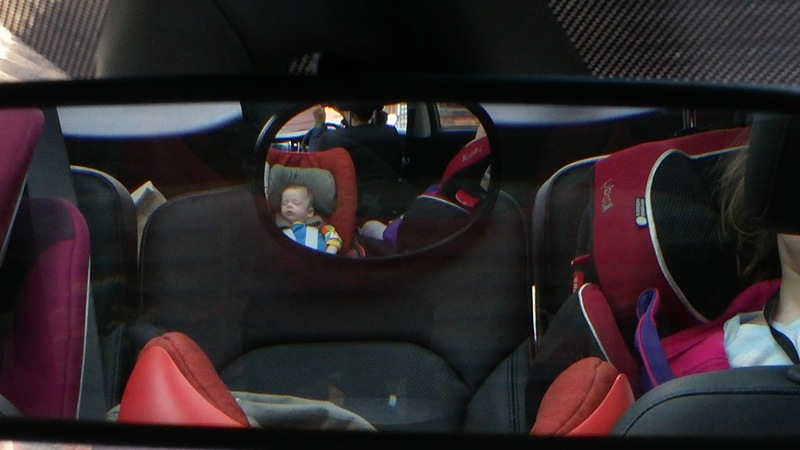 I have a Snugglybabies Baby car mirror to giveaway, simply follow the instructions on the widget.